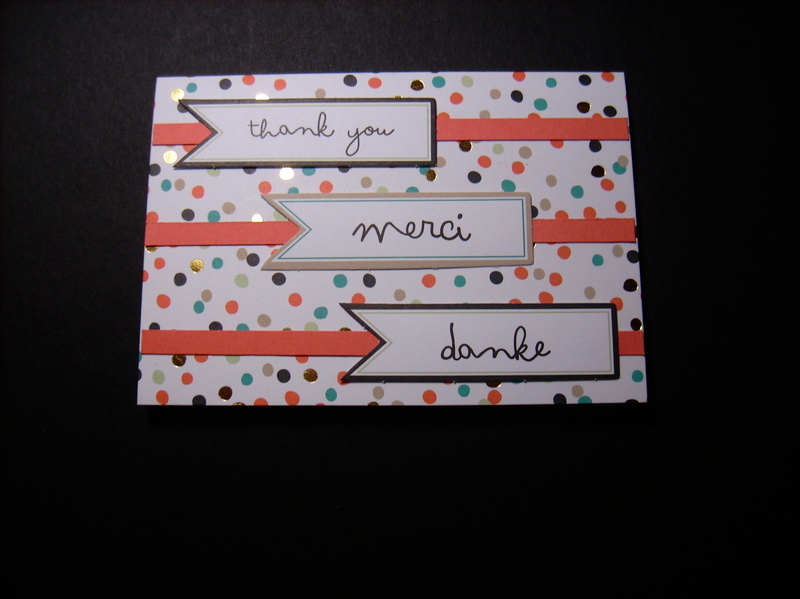 Stampin Up card kits are a great way to start cardmaking. 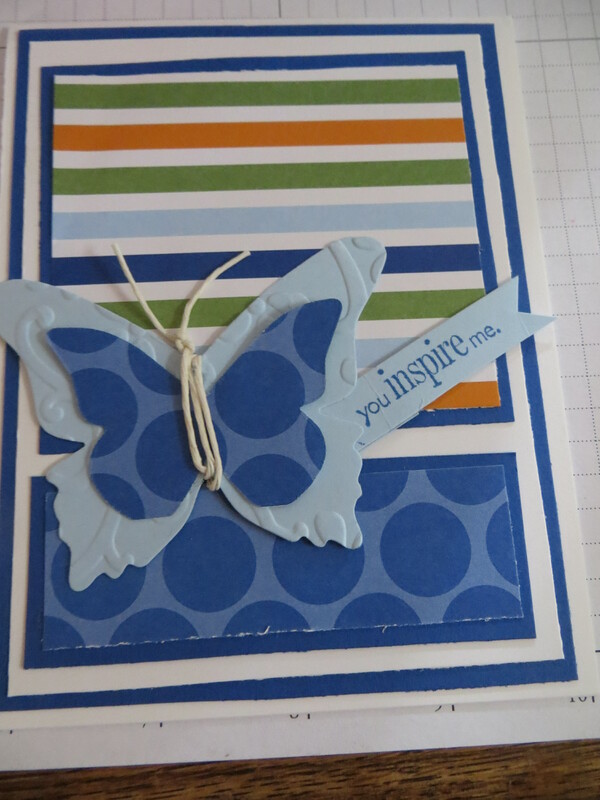 Today is the last day to purchase the Happenings Simply Card kit and it is on sale! Check it out and other retiring stamps and accessories because after today they will be gone forever. 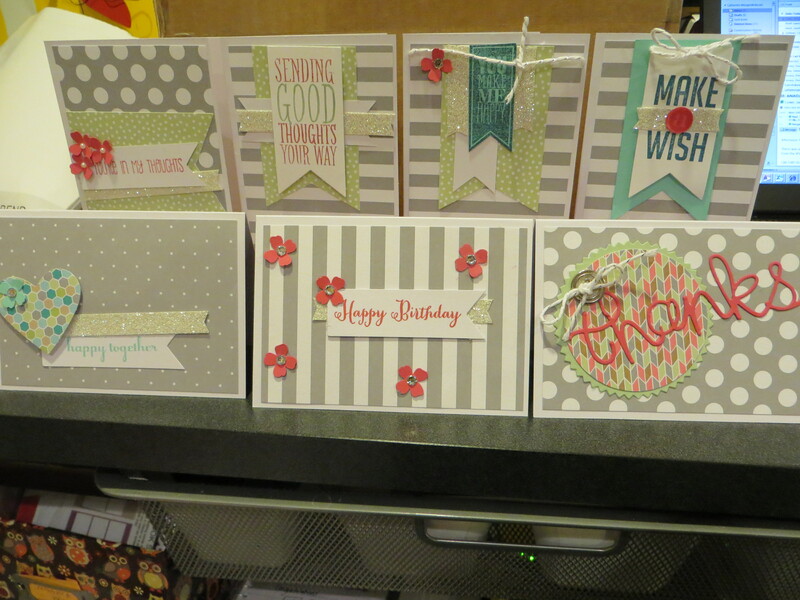 Card kits can be used as is or you can add stuff from your stash and step it up. Stampin Up also has My Paper Pumpkin kits that come to your door each month. Now thru June 10th you can save on your My Paper Pumpkin kits. The Stampin Up Sale-A-Bration, one of Stampin’ Up!’s biggest sales events of the year runs Jan. 6 – March 31! Please check out these three ways to earn free products! 1. Shop- For every $50 in product you spend (before shipping and tax), get a Sale-A-Bration gift FREE. Click to download the Sale-A-Bration Catalog and see the FREE gift choices. 2. Host- EARN BONUS HOST DOLLARS ON-LINE! Stock up for yourself or combine your order with a friend(s) to place an on-line order of $250 or more (before shipping and tax) and earn a $25 host dollar bonus. Bonus Host Dollars are available with on-line orders, too–not just parties! This bonus is in addition to earning a FREE gift for every $50 you spend (before shipping and tax) during Sale-A-Bration. 3. Join- A HOBBY STAMPER’S DREAM! During Sale-A-Bration, sweeten the $99 Starter Kit Deal when you choose one of two FREE product BONUS options. The Stampin Up Occasions catalog is also here. On Sale NOW! There are so many fresh, new spring products to tempt you in the Stampin’ Up! Occasions Catalog. It runs from Jan. 6 – June 2, 2015. The wait is over! 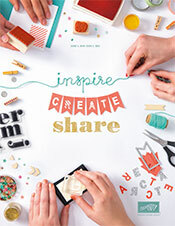 The all new 2014-2015 Stampin Up annual catalog is here. Click here to preview or on the catalog cover to the left. I have also added it to the catalog tab for a quick reference. Leave a post for what your favorite item is in the new catalog. Today’s post show’s 3 ways that the free Good As Gold card kit available from the Sale-a-bration catalog serves as the foundation for the 3 cards today. 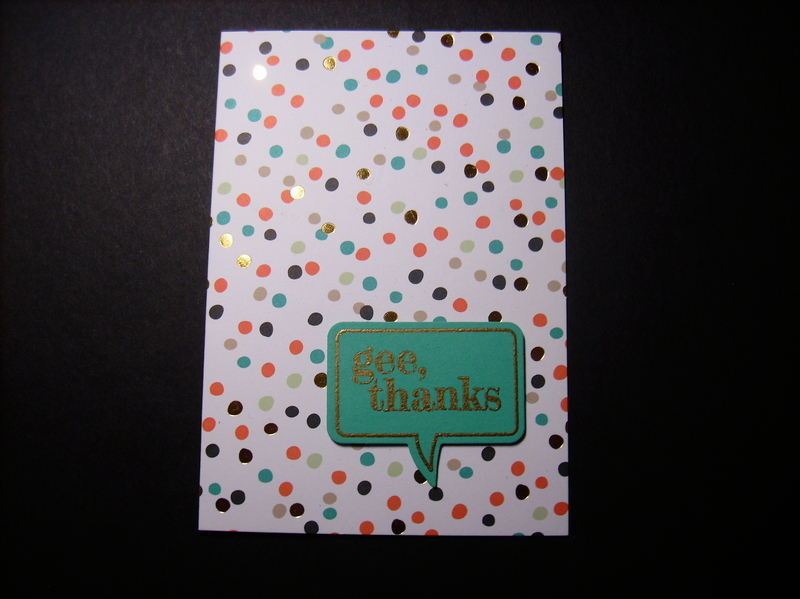 The good as gold card kit #133512 quickly allows you to create thank you cards in Bermuda Bay, Tangerine Tango and rich gold accents. The kit includes the pre-printed die cut tags and Bermuda Bay bakers twine and gold elastic cording. The Stampin Up Sale-a-bration is on going now thru March 31st and you earn free products for every $50 spend in qualifying merchandise (before shipping and handling). Be sure to check out all the other free products in the Sale-a-bration catalog and place your order today. 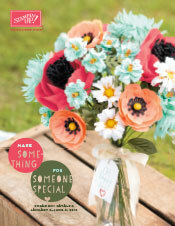 In case you have not heard, the new Stampin Up occasions catalog went live last week and continues through June 1st. To make room for the new must have products, I was inspired to clear out some old products and dust off some retired stamps to create this card. It always feels good to put some old stuff to work so that I can feel less guilty with buying new. Cammie’s Choices: 1. All the new folders 3 in number but she counted them as 1 item (go figure she is the oldest)- Ampersand on page 22 #132970, Arrows Folder on page 26 #132187 and the scallops folder on page 32 #132971. 3. Geometrical Bundle (wood #132941 & clear #134942) on page 26 that includes the Geometrical stamp set and coordinating triangle punch. Plus the Kaleidoscope DSP on page 27 #132995. Cammies Bonus item (because she cannot stop at 3) Star burst Sayings bundle (wood #134617 and clear #134818) on page 34. My 3 choices include: 1 Perfect Pennants Bundle (wood #134815 and clear #134816) on page 27 that includes the stampset and coordinating Framelits. 3. Fancy Foil Vellum in silver #133364 and gold 133363 and the Watercolor Wonder Washi tape on page 22 #13300. 1. 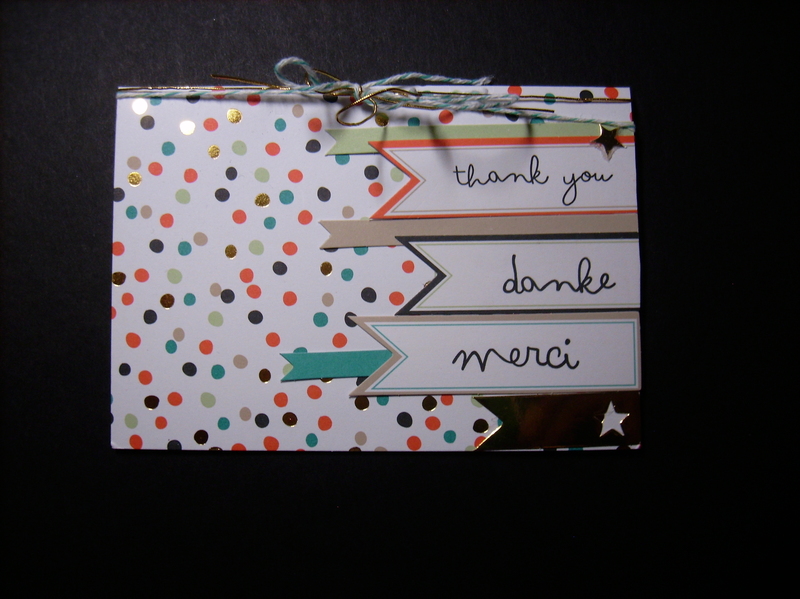 The Hello Sailor Stampset on page 24 #133278 and the coordinating High Tide DSP on page 24 #132992. 3. On Film & Peachy Keen Bundle (wood #135224 and clear #135225) on page 18 to include the On Film Framelits and coordinating Peachy Keen stamp set. Blair’s bonus item are the topper punches on page 35 that include the Angled Tag #133323 and the Scalloped Tag #1333324. As you can see we cannot just limit it to 3 items because the Celebrate Everyday Occasions catalog is chock full of too many fun and new products.